@simon_soccer @IndySaintSimon @olmcsports @dharznjams @Vzink61Z Congrats and good luck Friday. @BCHS_Principal @BCHSMBB Happy birthday coach! Check back in early summer for the next season's schedule. 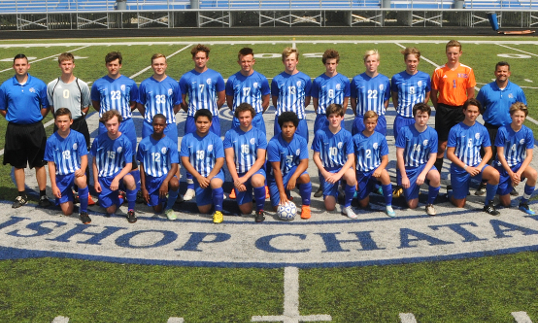 Bishop Chatard boy’s soccer kicked off their 2018 campaign with a 1-1 draw against Arsenal Tech on Tuesday night. After trailing at half, Jacob Treida found an open Joey Bartone off a corner who slotted the ball into the back of the net. David Harless and Cade Weber scored for Bishop Chatard. David Harless scored for Bishop Chatard. Tommy Hochstetler recorded the assist. Danny Bardol’s cross found Tommy Hochstetler as Bishop Chatard led Guerin 1-0 at halftime. Guerin took a 2-1 lead with 10 minutes to play before David Harless tied it a 2 from a free kick. But Guerin scored the game winner with one minute remaining. The Trojans took on their biggest rival Thursday at Lawrence Soccer Complex against Cathedral. The boys in blue and white were able to absorb Cathedral’s pressure the first half and were rewarded for their efforts as George Forsee put Chatard up 1-0 after 40. Although most of the second half was deadlocked at 1, David Harless’s free kick rang off the post with 10 minutes left in the match. After that, Cathedral was able to pull ahead with a 3-1 win. David Harless scored from a free kick. 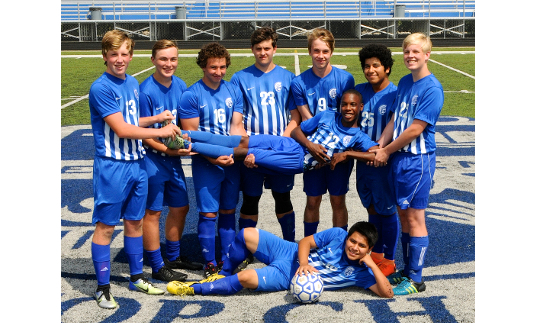 On senior night, the Trojans fell 2-0 to Park Tudor. Before the match, the team honored Peter Agostino, Joey Bartone, Anthony “Poptart” Cuevas, Solomon Lee, Alec Ryden, Charlie Steadham, and Josh Teter-Mcurdy. The Trojans defeated Tindley in the first round of the city tournament. Freshman Bobby Forsee and seniors Charlie Steadham and Poptart Cuevas scored their first varsity goals of their career against Tindley. 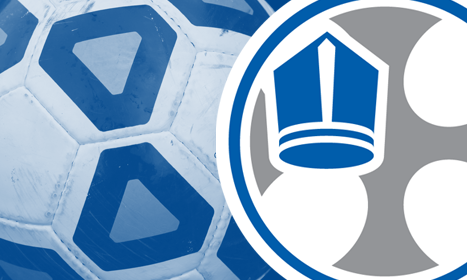 Bishop Chatard fell 4-1 in the second round of the City Tournament to Heritage Christian. David Harless’s first half goal gave the Trojans a 1-0 lead before Heritage tied it up just before the half. With 15 minutes to play, Heritage scored the game winning goal and pulled ahead. The boy’s soccer team advanced to in the IHSAA Sectional 26 Championship after defeating Crispus Attucks 4-2. Goals were scored by Danny O’Gara, David Harless, Jacob Treida, and George Forsee. David Harless scored the lone goal for Bishop Chatard as the Trojans fell 3-1 to Cardinal Ritter in the IHSAA Sectional 26 Championship Match. Nicholas Machala and Danny O’Gara scored for the Trojans. Jacob Bartone recorded one assist. Bobby Forsee scored from 30 yards out. Danny O’Gara scored a hat trick and Liam Wojciechowski scored one goal. Joe Mees scored the game tying goal in the 47th minute. The JV squad advanced to the championship match after defeating Park Tudor 3-1. Danny O’Gara recorded a hat trick for Chatard. JV fell to Roncalli in the championship match at Brebeuf on Thursday night. 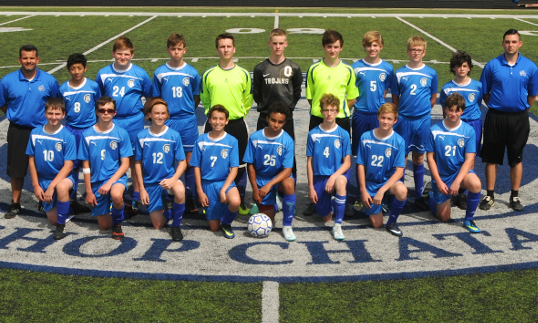 JV fell 2-0 at Guerin Catholic on Saturday in their final game of the season. Great year JV!